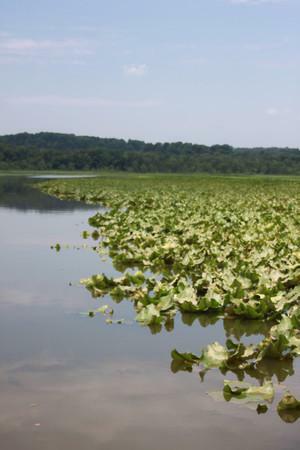 The archaeological dig site at Pig Point near the Jug Bay Wetlands Sanctuary, has continued to yield incredible artifacts and other evidence of human activity since its initial discovery in 2009. The dig began that same year and there have been a number of very interesting things found, including evidence of Algonquin wigwams, projectile points, ancient pottery and other artifacts dating back thousands of years further than anyone expected. Now that so many artifacts have been collected, archaeologists working the site are beginning to formulate theories about how people have lived here for thousands of years. Volunteers, interns and archaeologists with The Lost Towns Project make up the work force excavating the site and processing the artifacts found. 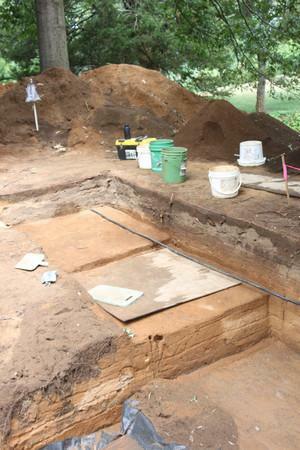 In addition to the dig site they also operate an archaeology lab at Historic Londontown and Gardens in Edgewater. Anne Arundel County archaeologist and leader of the dig, Dr. Al Luckenbach described why the site was such a significant find and pointed out some of the most interesting artifacts found so far during a recent tour of the dig site. He said they have dug down to prehistoric bedrock in a few locations and have found artifacts nearly the entire way down. “The oldest artifact we’ve found ‘in situ,’ the Latin word for ‘in place,’ was 10,000 years old,” he said. 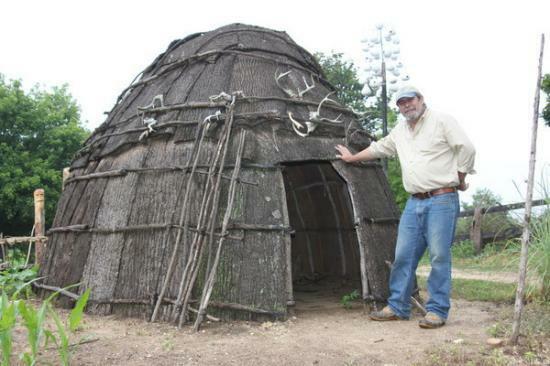 “There have been Clovis points found in the field and that’s the style that is 13,000 years old, the oldest accepted age, but we have not yet found 13,000 year old points in place.” Luckenbach said that this site has been home to various groups of humans for thousands of years. “It’s been occupied pretty continuously,” he said. “This is actually seven feet of one continuous occupation after another.” He said typical archaeological sites often yield artifacts from deep within the soil with deep layers in between findings. Pig Point, on the other hand, has yielded artifacts from top to bedrock. The site gets its name from the colonial community here and, before that, the Algonquians. Before that, evidence of continuous human habitation continues. 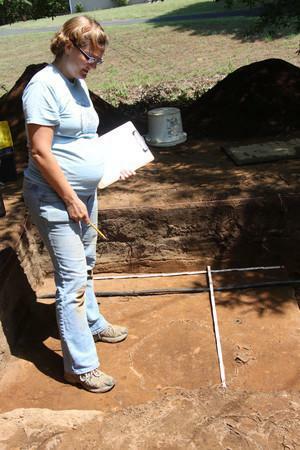 One of the archaeologists working the site is Stephanie Sperling. She was mapping evidence of wigwam post holes discovered the morning of our visit. 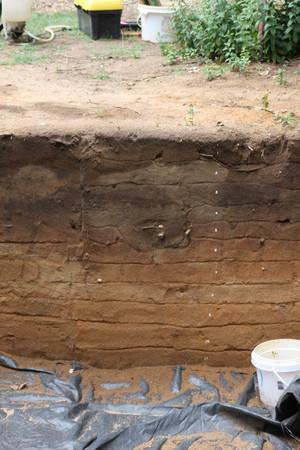 The small brown stains in the soil prove where saplings were once driven into the ground to support a shelter commonly associated with the Algonquin people who occupied this area before European settlement. She explained that the mapping and other data recording are extremely important to making sense of the many artifacts being found. Grow also said they teach the volunteers and interns at the site to be mindful of things like that so that more people can learn about archaeology. “That’s part of our mission at Lost Towns Project is to be a community outreach for archaeology,” she said. “You also don’t have to have any previous experience, its sort of up to you and your comfort level and how much time you’re willing to give us,” she said.